A more attractive smile will enhance your overall appearance and your outlook on life. But don’t just take our word for it. There’s research proving that people with attractive smiles have more successful careers and relationships because they are more inclined to smile and speak clearly. In a survey conducted by Career Builder, more than 38% of hiring managers said that not smiling during an interview counted against candidates. 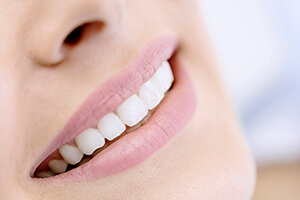 For these reasons and more, you should consider cosmetic dentistry in Pasadena. Dr. Holmes, Dr. Revel, and Dr. Lowry deliver advanced esthetic therapies to brighten, reshape, and revitalize teeth. Many procedures require only a single office visit. Our patients rave about their new smiles and tell us that cosmetic dentistry did indeed positively impact their relationships, professional success, and confidence. Contact our Pasadena, TX location today to get started! 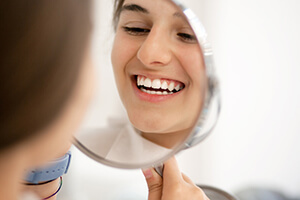 Is your smile plagued by stains, chips, gaps, or other imperfections? Porcelain veneers can give your teeth the fresh start they need here at Pasadena Family Dentistry! These custom-made restorations are crafted from high-quality dental porcelain and designed to be thin enough to fit over the front surfaces of your teeth, effectively hiding them from view behind a new appearance that both looks and feels fully natural. 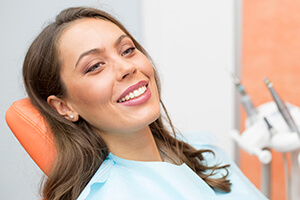 It wasn’t long ago at all that patients had to settle for a new dental crown or other restoration that was noticeably metallic in appearance. Today, our doctors are happy to marry valuable oral health benefits with attractive, lifelike materials in order to exceed your expectations and provide the best of both words. Our metal-free restorations are beautiful to look at, surprisingly durable within the mouth, and fully biocompatible for added oral comfort. 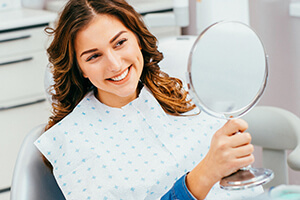 Even if your dental flaw is a small one, our team understands that these supposedly tiny issues can loom large whenever you see your smile in the mirror. Thankfully, direct bonding is a simple and fast procedure that can give your tooth the convenient makeover it needs. One of our doctors will apply tooth-colored composite resin to the surface of the affected tooth and carefully sculpt it into a pleasing, lifelike addition so that the chip, crack, stain, or gap is fully covered from view. If your teeth are plagued by stains or simply aren’t as bright as you’d like them to be, teeth whitening is available here at Pasadena Family Dentistry to help you make the dazzling improvements you’ve been dreaming of! Our Opalescence take-home whitening kits are designed to be used on your own schedule, and after a few weeks of diligent use, your enamel should be multiple shades lighter. In-practice whitening is also available for faster results, if speed is your highest priority. Does your smile appear overly short or “gummy”? You may have an excess of gum tissue that’s hiding your attractive and healthy teeth from view. In this case, our doctors are likely to recommend an aesthetic gum recontouring procedure, during which we’ll precisely sculpt your natural gum line so that it’s much more symmetrical and pleasing to the eye. 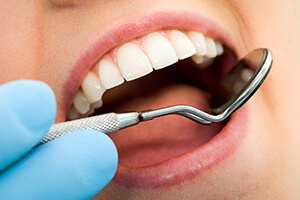 This service can also have restorative benefits, such as when a new restoration needs to be placed and more healthy tooth structure must be revealed to ensure the procedure’s success.